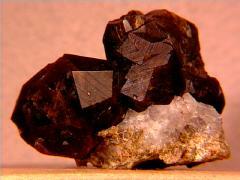 This is my andradite garnet collection. 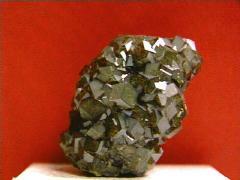 chrome andradite - deep green, color due to chromium, possibly only found in the Paushir Valley, Kunar, Afghanistan. I don't have any of these (yet), but here's a picture [Courtesy of John Veevaert]. 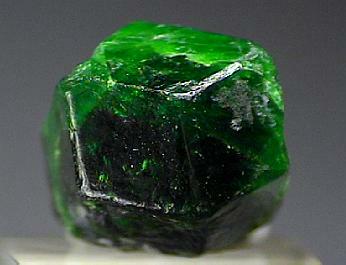 demantoid - green. 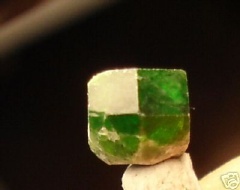 Even though jewelers consider only the medium "emerald" green andradites to be demantoids, most collectors classify all green andradites as such. 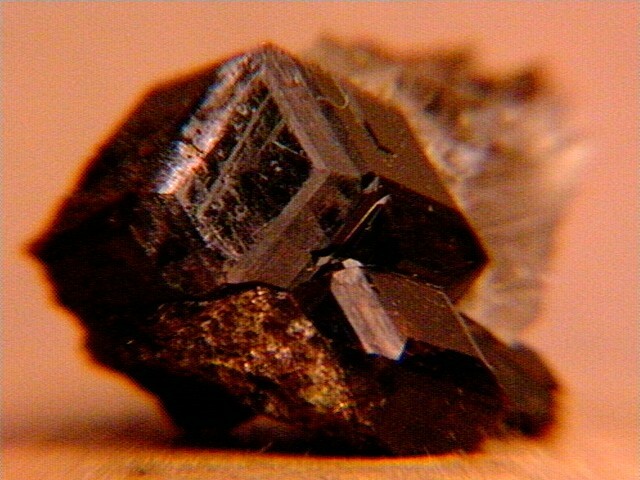 melanite - black. 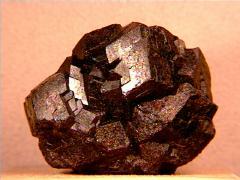 The color is caused by titanium replacing some of the iron; the composition approaches that of the rare black garnet, morimotoite. 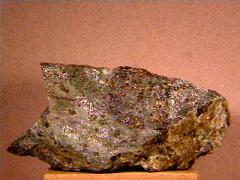 If the titanium content increases further, it becomes the somewhat less rare schorlomite. I also have an yttrium melanite. 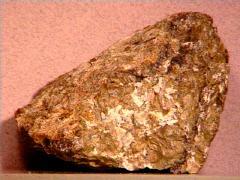 topazolite - yellow to orange (all of mine are from the best U. S. location, San Benito County, California). 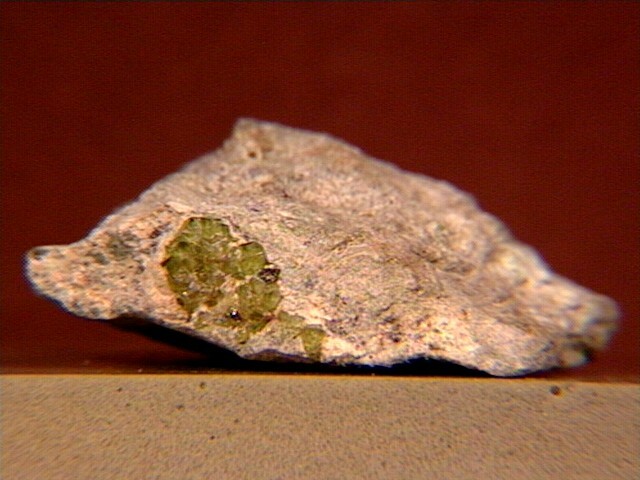 The Stanley Butte, Graham County, Arizona andradites are considered by some to be demantoids - they're also particularly difficult to photograph (almost a color-change effect, but a variation due to light intensity scattering rather than light wavelength absorption). 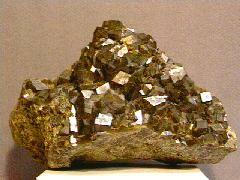 This andradite cluster on a massive andradite matrix is from the Sineretchenskiy Mine near Kavalerovo in Russia. 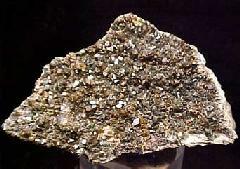 Thanks to MINERALMINERS.COM for the specimen and the image! 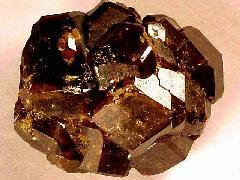 More Russian andradites - this time they're dark reddish-brown and very lustrous. 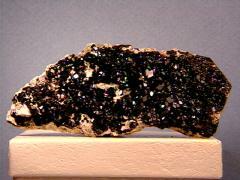 These andradites (with black biotite) are from Mountville, Virginia - an unusual location. Thanks to Emilie & Ron Kendig's auction on eBay for the specimen! 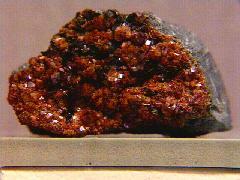 Dark red andradite on and in a milky quartz and black biotite matrix from Aranoss, Namibia, South West Africa. 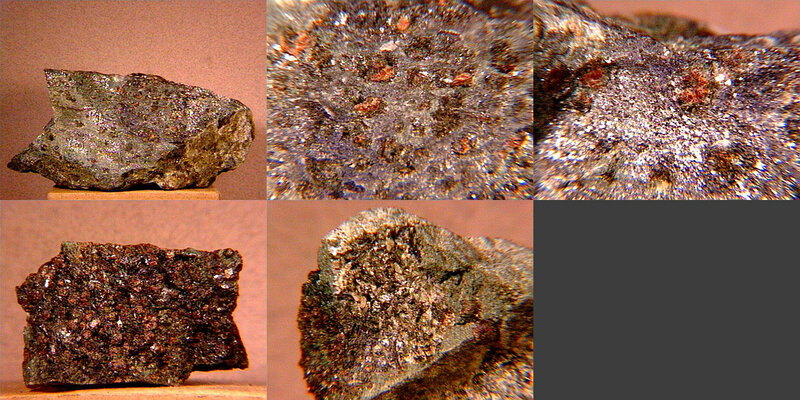 A new location and a new color - rootbeer-colored andradites with striated faces from Linette #2, Otero Co., New Mexico. 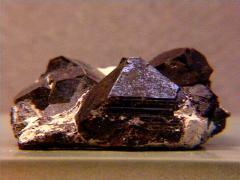 Thanks to Tom Hales' (Museum Minerals) auction on eBay for the specimen! 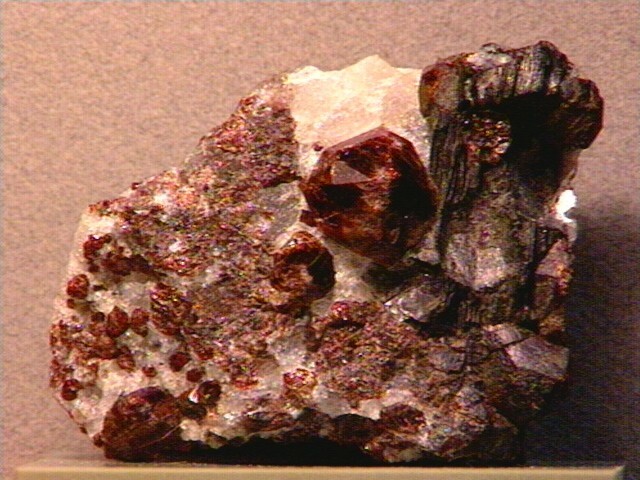 A sharp, very dark red-brown andradite on matrix from the Miracle Mountain Mine, Garnet Hill, Calaveras Co., California. 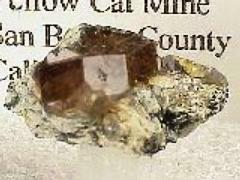 Thanks to Tom Lettier and Ken Balthazor's (The California Crystal Connection) auction on eBay for the specimen! 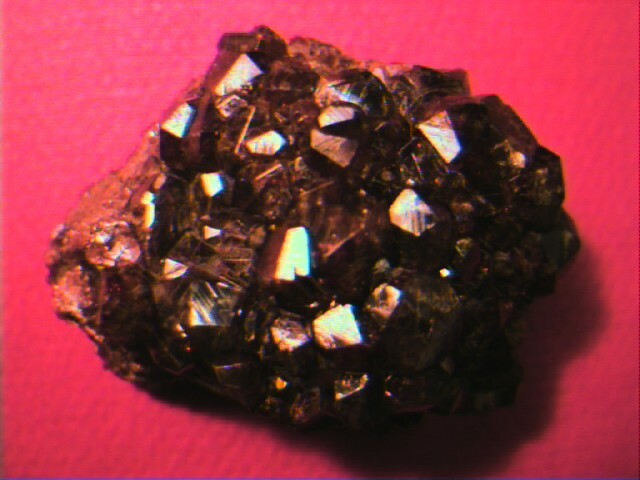 At first glance these would appear to be melanite but the closeup shows a bright red translucence at the crystal edges and fracture planes. 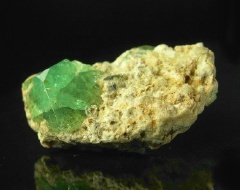 This specimen with its accompanying green andalusite comes from the Harding District, Taos Co., New Mexico. Thanks to Don Goodell's auction on eBay for the specimen! If this specimen was from the Alps, it'd be called prasinite - here in the U. S. it's a chlorite-amphibole (blue glaucophane)-epidote schist with light red andradites. These "almost-topazolites" come from the classic location for topazolites, San Benito County, California. 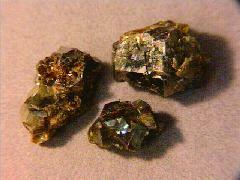 The second closeup, top right, shows the chlorite glitter while the third closeup, bottom center, shows the epidote in a smaller specimen from the same locale. Thanks to Wayne Bloechl's (GeoJoe's) auction on eBay for the specimens! 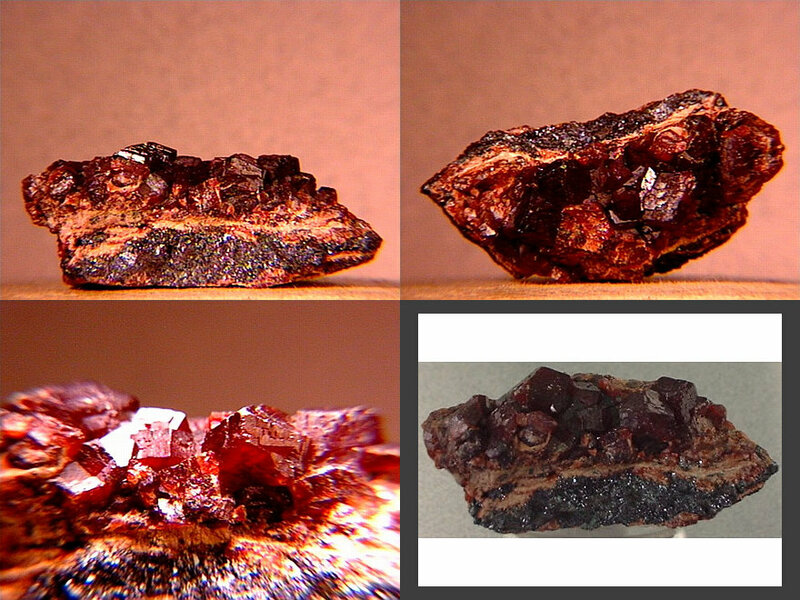 Under normal light these andradites look black; brighter illumination (larger image, bottom left) shows their beautiful cherry-red color! 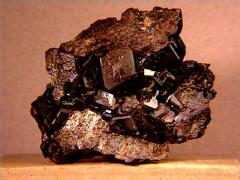 They're on a matrix comprising (probably) hausmannite, hematite, and gaudefroyite and comes from the N'Chwanning Mine in the Kalahari Manganese Fields of South Africa. 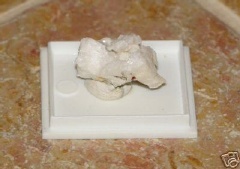 Thanks to Craig Ackermann's (KalahariMinerals.com) auction on eBay for the specimen and the image! 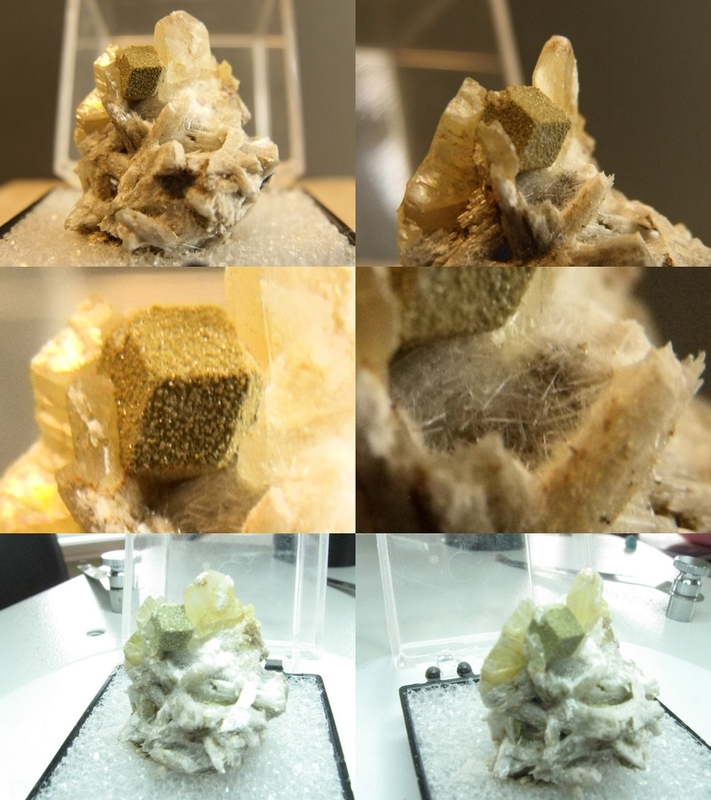 Thanks to Dave Hayward at Lucky Strike Minerals for the specimen and the images! 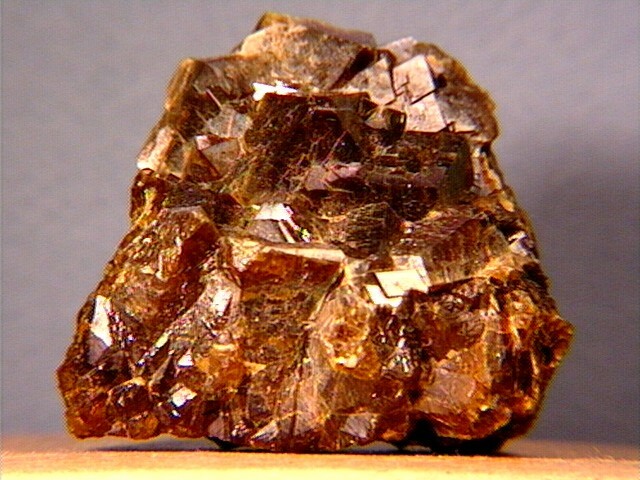 An odd thumbnail of what I was told is andradite after calcite from the Poudrette Quarry, Mont Saint-Hilaire, Rouville RCM, Montérégie, Québec, Canada. Thanks to Arnaldo Brunetti's auction on eBay for the specimen and the images! 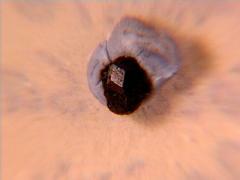 Another oddity - this miniature has a tiny andradite "crystal" with two needles on it from the Navegadora Mine, Penha do Norte, Conselheiro Pena, Doce valley, Minas Gerais, Brazil. 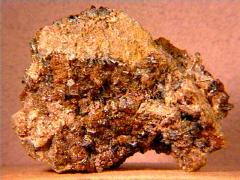 Since this mine is the home of the famous "etched spessartines" from the mid-2000s, I'm inclined to think that this may be a spessartine with possibly foitite needles. Thanks to Paolo Bracci's auction on eBay for the specimen and the images! 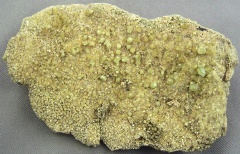 A crust of greenish-gold (although they're translucently yellow-orange in bright light) andradite crystals from (the now-closed mine in) Stanley Butte, Arizona. 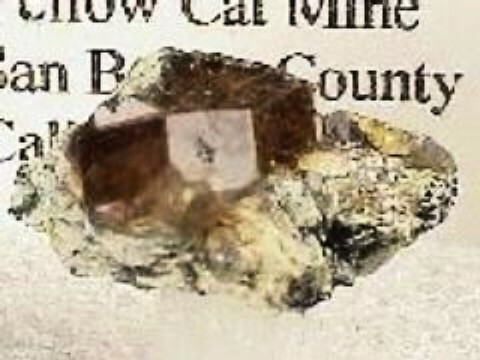 This is a companion piece to the andradite at the left - it's a little darker and is covered (if there's a matrix under there at all) on all sides with the exception of about a square inch at the bottom. It has the same green-gold reflectance and yellow-orange transmittance. 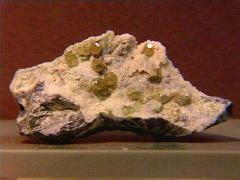 Demantoid is the green variety of andradite - the rich green gemmy ones are fairly rare. 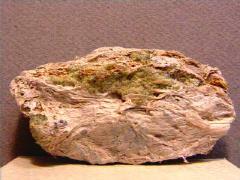 This specimen with pale green demantoids embedded in palygorskite (attapulgite or "mountain leather") is from Pfish, South Tyrol, Austria via the Narodni Museum in Prague. 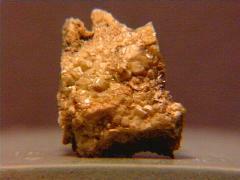 Thanks to Tony Nikischer at the Excalibur Mineral Company for the specimen! 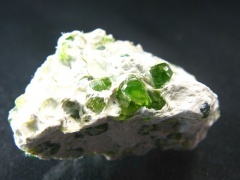 While jewelers traditonally only consider the rich green varieties of andradite to be demantoid, they can be much paler as in this specimen from the Black Lake Mine, Asbestos, Quebec, Canada. 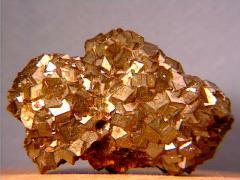 Thanks to Daniel Comtois at Daniel Comtois - Quebec Minerals for the specimen! 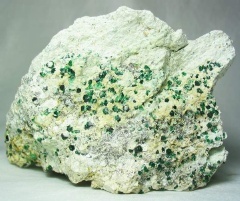 Another Arizona green andradite - this one has lots of microgarnets coating the bigger ones, browner green ones on the bottom, and like most of the green andradites from here, its color changes under strong lighting from green to orange. Thanks to Frank Butler's auction on eBay for the specimen! More Arizona green andradites - these have a strong metallic appearance, sort of a Japanese Beetle color. Thanks to Paul Cordalis' auction on eBay for the specimen! 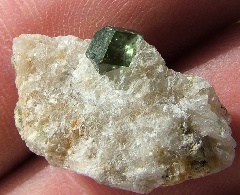 This one was labeled as grossular and the accompanying website photo did not match what I received - another green-gold andradite. 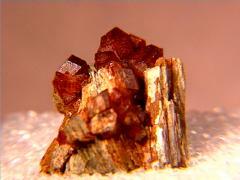 Thanks to Olympic Mountain Gems, Inc. for the specimen! A small cluster of demantoids from the Tamvatneyskiy Massif, Karelia Region, south of the Kola Peninsula, Russia. Thanks to Jim Keough's auction on eBay for the specimen! 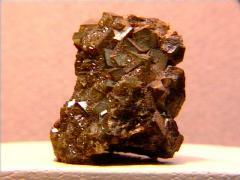 More Arizona andradite - the color is really a deep green. These are very difficult to photograph correctly! 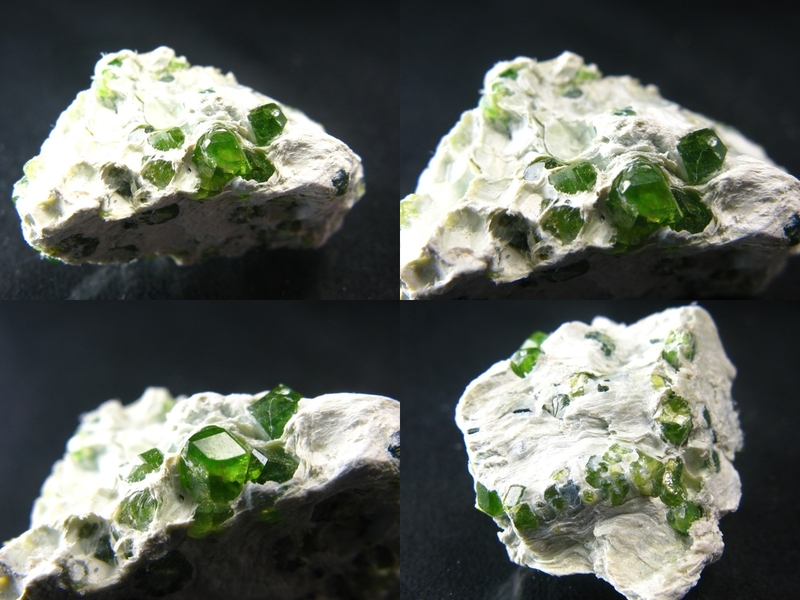 A beautiful translucent demantoid crystal from the Middle East. Thanks to Lindsey Martindale's auction on eBay for the specimen and the images! A beautiful small-cabinet specimen of deep-green demantoids in matrix from the Sichuan Province in China. Thanks to Li Yang's auction on eBay for the specimen and the images! 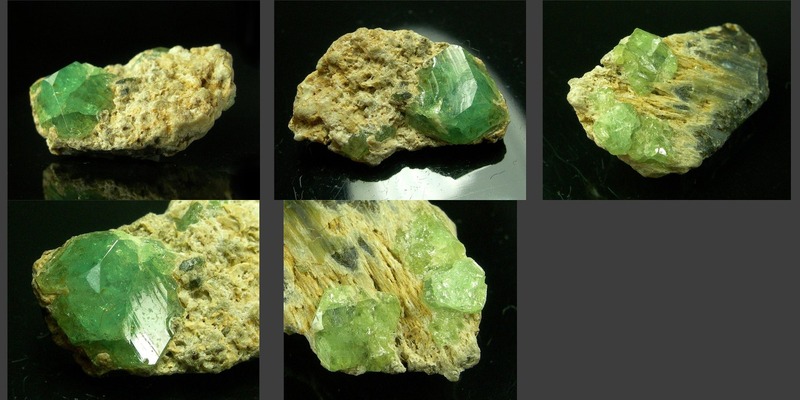 Another small-cabinet specimen of light-green demantiods on matrix from Cerro De La Concordia, Veracruz, Mexico. 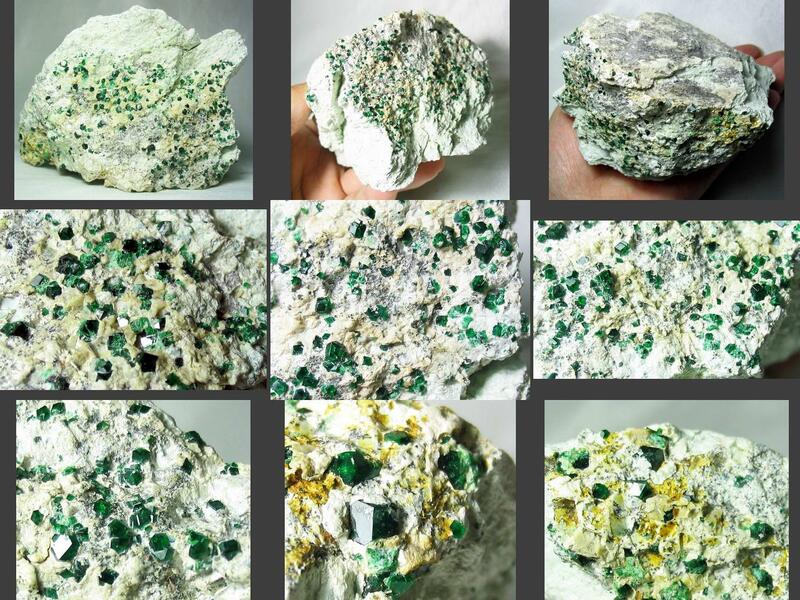 Thanks to Bob Williamson's B and L Minerals auction on eBay for the specimen and the images! 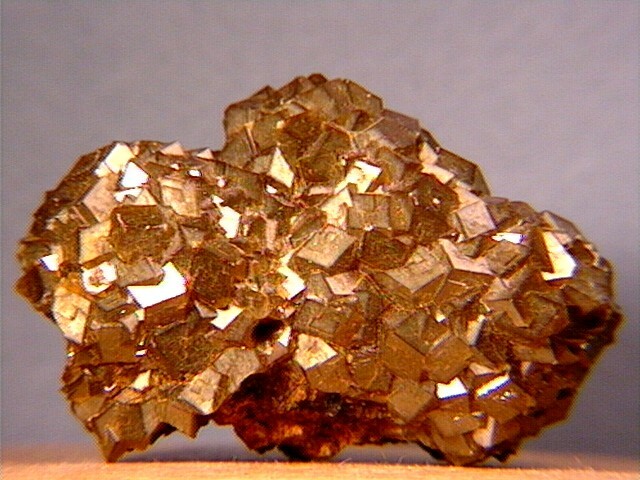 An excellent miniature of demantoids in calcsilicate matrix from the Tubussis 22 Farm, Karibib District, Erongo, Namibia. The demantoids from here vary in color, even on one specimen. Thanks to Debbie Woolf's auction on eBay for the specimen and the images! 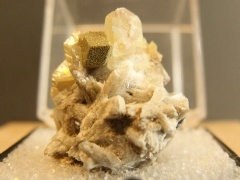 A gorgeous miniature of gemmy demantoids on a white fibrous amphibole matrix from the 2009 find at the Jeffrey mine, Asbestos, Les Sources RCM, Estrie, Québec, Canada. Thanks to Mike Petrov's auction on eBay for the specimen and the images! A sharp light-green gemmy demantoid from the Kunene Region (formerly Kaokoland), Namibia. Thanks to Rodney Moore's auction on eBay for the specimen and the images! 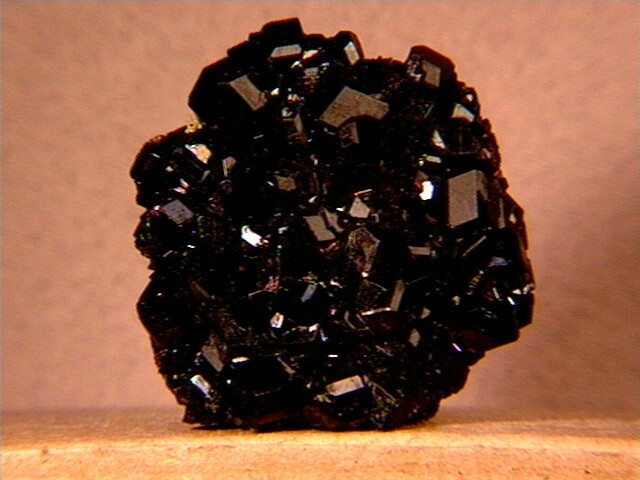 Black andradite garnet from Sokolovo-Sarbaiskoye, Khazakistan. A larger version of my other Khazakistan melanite, with large crystals, some of which have overgrowths (larger picture, right). The melanite crystals on this thumbnail from the Near Gem mine in San Benito Co., CA have overgrowths of transparent pale yellow andradite, sometimes doubling or tripling the crystal diameters (closeup)! 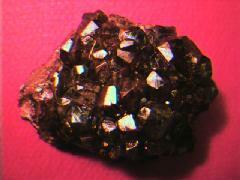 Thanks to Tom & Vicki Loomis at Dakota Matrix Minerals for the specimen and the image! 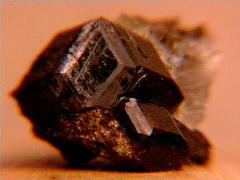 This melanite's from Chihuahua, Mexico. Thanks to Suzanne's (Bumps Fine Art) auction on eBay for the specimen! 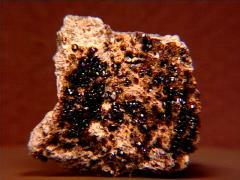 These melanites (hundreds of 'em) come from the Snake Pit Claim in San Benito County, California. Thanks to Stephen Lancellotti's auction on eBay for the specimen! A tiny but sharp melanite on matrix micromount from Kolursaigrun, Rauris, Austria. 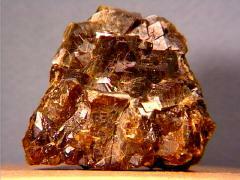 Thanks to Tom & Vicki Loomis at Dakota Matrix Minerals for the specimen! This matte-finish melanite from the La Prieta Linda Mine, Chihuahua, Mexico has yttrium, a rare-earth element, in its composition. 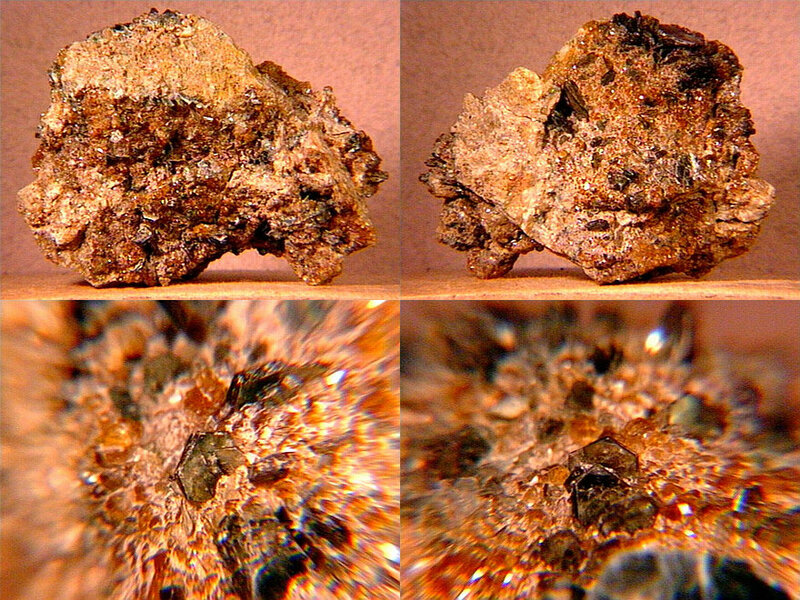 Thanks to Tom Hales' (Museum Minerals) auction on eBay for the specimen and the images! 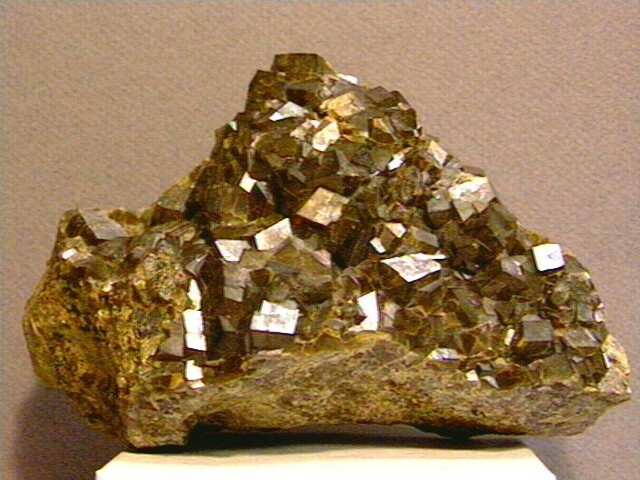 Topazolite's the yellow variety of andradite - this one's from the Yellow Cat Mine near New Idria in San Benito County, CA. This topazolite thumbnail is from one of the few good locales for this variety of andradite - San Benito County, California. 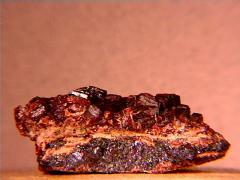 Thanks to Mike Keim at Marin Minerals for the specimen! Small topazolites and one demantoid on serpentine from San Benito County, California. Thanks to Jeff Chervenka's auction on eBay for the specimen! A gorgeous miniature of yellow-orange topazolites and transparent green and blue-green clinochlores from San Benito County, California. Thanks to Alexander Falster's auction on eBay for the specimen! 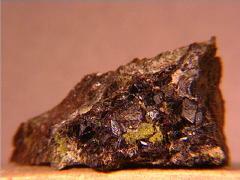 More San Benito topazolites - these are very dark yellow with green clinochlores and even some small magnetites. 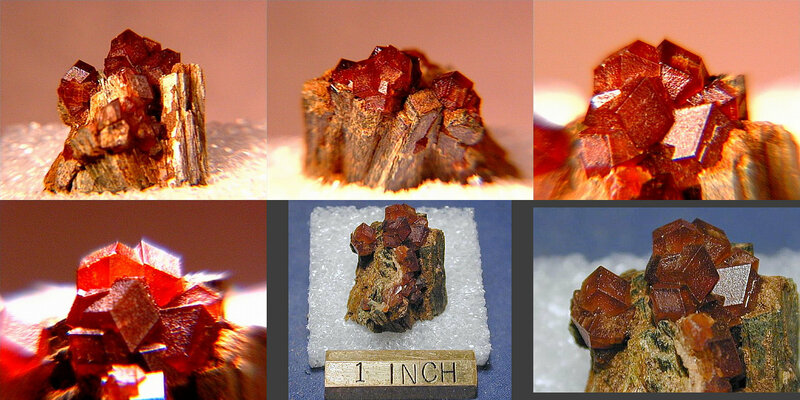 Thanks to Mike Keim at Marin Minerals for the specimen and the images!